I think they wrote the post-it note to make her smile. She knows she is loved. Everything about Sarah is very sad, including the post it notes to 'Mummy', that make her appear to be the mother of seven year olds. ^Yes. There should be photos of more notes from her to her children instead. If I had to have this level of reassurance, as a parent, it would be a warning sign to me that I was being needy. Maybe she is battling depression or something. We don't know. I think it's sweet that the girls write notes like that to their mother, even though they're grown now. ^I think she doesn't take responsibility for her own circumstances in life and plays the victim. It's hard to believe that they're the same age. She looks about twice Nigella's age. A good advert for wearing SPF sun cream every day. Poor Fergie. She really is a raddled old slapper. Fergie claims that prior to the sting she made £799,000 a year from public speaking and TV appearances, which dropped to £52,000 and then zero. She's quite mad. She decided to not take responsibility for her life as she still lived way beyond her means when she had money after the divorce. She's going to get a big reality check with this lawsuit. If she had had money sense, Fergie should have lived off of the interest of her ventures after making millions. She could have financial security and could have had more ventures, but she stupidly squandered all of it. This lawsuit might in fact antagonize Murdoch into reacting by releasing more damaging information that he has on the BRF. I'm certain that he has more info on the Duchess that could ruin her for good, so this is not a smart move. She is quite simply totally deluded. Her reputation was already in tatters at that time. In fact no reputation to ruin even then. two sons and certainly not from daughter Elizabeth. New documents show Sarah Ferguson’s legal fees are likely to reach £1,354,056 by the time her £40million action against the publisher of the now defunct News of the World reaches the High Court, possibly in the autumn. The newspaper’s costs are estimated at £951,195, and she could be ordered to pay them as well if she loses her battle for what she claims are loss of earnings since the story tainted her public image. The documents show the Duchess has already spent £321,556 on legal action against News Group Newspapers and ‘fake sheikh’ journalist Mazher Mahmood, and has gone over budget on agreed or approved costs by £120,000. But the Duchess, 58, has faced long-standing financial problems, and questions have been raised about how she will find the cash to fund her legal battle. Brought up by her polo-playing father Major Ronald Ferguson, her penchant for first-class air travel and lavish gifts, as well as her apparent willingness to cash in on her Royal connections, has caused concern. Where did she get £321,556 from in the first place? 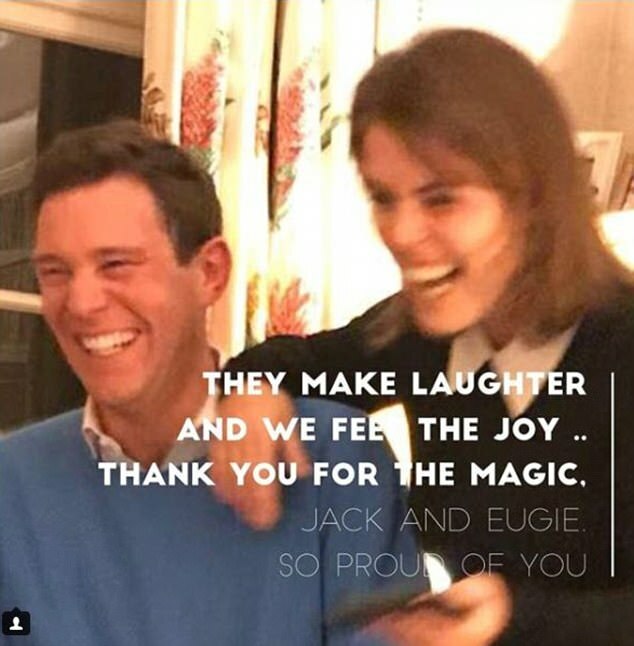 This could be the reason Eugenie's etting married in October; to make sure her mum's free to attend the wedding instead of still being embroiled in her legal case. I think Fergie's goin to lose because over the years, she's proven not to be a savy business woman and she's ruined her own reputation. The newspaper sting only highlighted how money hungry and imoral she is. who she can tap for £40 million. Not Murdoch luv - not even to shut you up, not even out of pity. You need saving from yourself, Murdoch won't do it. What reputation? That went long ago. If these two are considering getting back together then might I suggest they do it quietly and retire from public life. This woman may be great fun and a good mother, but dignity seems to be sadly lacking. 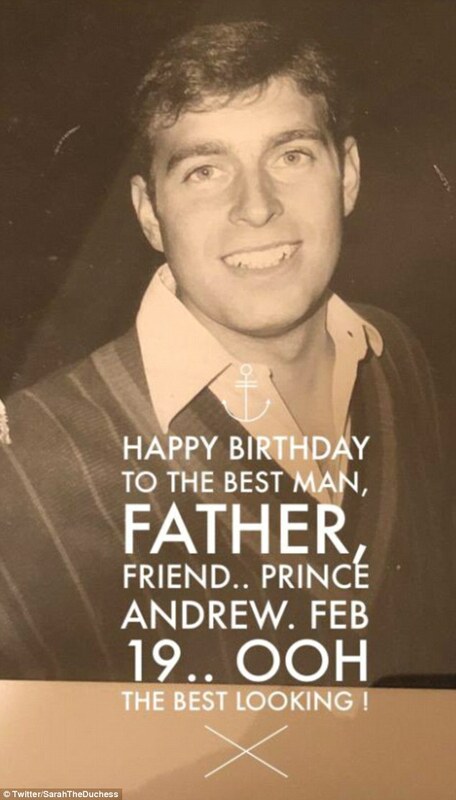 Eugenie's fiancee is a good looking version of Andrew, no? Fergie's always gushing about Andrew and her 'girlies'. I'm sure she does love them but it also keeps her relevant and part of the Royal package, or so she thinks. And this woman wouldn't know what dignity is. She was bad when she was young, now she's older she's become even worse. Gosh, she's going to be so centre stage at the October wedding and glorying in it all. It will be her finest hour since her own wedding. The royals will just have to be stoic. I'll be interested to see how Philip manages!! You know, she is the one that wanted out, not the other way around. HM allegedly didn't want Fergie to leave the marriage, so I don't get WHY Fergie's hanging on is tolerated. She wanted out, got thrown out after those photos were published during their separation, suddenly she wants to hold on to all that status. She should be locked in a psych ward and forced to deal with her contradictory nature. 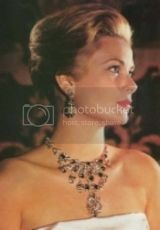 Her renouncing of her royal life didn't liberate her, it only threw her into the celebrity milieu that only hurts her. Just like before her marriage, she's trying to keep up with a wealthy set and she keeps struggling to keep up. ^ I don't think that Fergie really wanted out. Diana talked her into it as test-drive for herself, so she'd better know how to handle a divorce from Charles. But I don't think it was Fergie's greatest idea to want out, I think she was in limbo regarding that decision. Then the pictures were published, and the one who really ordered the divorce was actually Liz the queen mum, not Liz II. Liz II ordered the divorce on her mother's orders. Actually Liz the qm drove many decisions of the family and had great influence on Liz II and Liz II did up to the end what mummy ordered, and also Phil as "head of the family". I just don't know what the breaking point with Philipp was, because he's famously the one who still doesn't tolerate Fergie, did that come with the toe-sucking pics or later? Liz II never really had anything against Fergie, even after that humiliation. That is the great change in Liz II, before her mother's death she ordered divorces and radical things at the behest of her mother (&partly Phil); since her mother's death she's been the famous ostrich who wouldn't utter one word, even if BP itself were to collapse, as long as it doesn't "hurt" the monarchy and Phil doesn't explicitly order anything. I think Fergie is going ot be one of those people who never wises up and accepts responsibility. At her age, she's too old to be so clueless. Fergie was and is and idiot. She could have played araound but she had no sense of decorum, station or anything else and she was her worst enemy. Her problem is this delusion that being completely unrestrained means she's being authentic; I read a book about her called "Fergie Confidential" and basically it's practically a catalog of her making one bad choice after another all in the name of 'being her real self' and ignoring almost all advice on a nonstop basis.